With a background (and keen interest!) in perfume, makeup and beauty products in general – plus a penchant for a lovely and light fluffy read every now and again – I was drawn to this new arrival, and very satisfied with its pretty cover. I know it shouldn’t matter, but to me, it does! 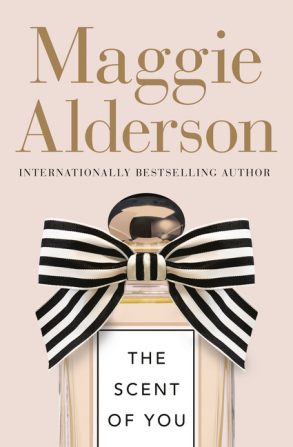 The Scent of You tells the tale of Polly, a middle-aged wife, mother, blogger and yoga teacher, whose husband just leaves one day with simply an email sent; he cannot be contacted and will be away travelling for work and needs the time on his own to sort things out. No explanation – no indication of what is going on – no warmth or comfort to explain it will all be ok.
And so begins Polly’s journey of self discovery, all founded on her love of scent and the memories and emotions it carries. Enter some handsome men, glamorous PR events, a little blogging fodder, a slightly dotty ex-model mother and the perfect uni student kids and the scene is set for a leisurely read. With a cast of likeable characters (and a very unlikeable husband! ), The Scent of You makes the ideal holiday read. It would also make a lovely gift for a girlfriend who is a Lianne Moriarty (or equivalent) fan.